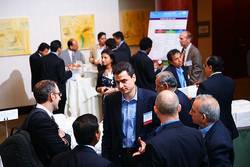 Passion, Vision and Ideas filled the air at TiE-Boston's 13th Annual TIECON East conference held on June 2-3, 2011 at Westin Waltham. Over 550 people were in attendance at this year's conference which included established Entrepreneurs, aspiring Entrepreneurs and Venture Capitalists. The theme of this year's conference was "Innovate Now" Launch ~ Leverage~ Lead", which was expressed to participants through various panels. The conference explored new innovation arenas across Three Tracks: The Life Sciences track explored breakthrough business models for regenerating organs and new drugs. The Clean Tech track provided great insights into sustainable smart communities and future fuels. The Technology track discussed buzz in social media, mobile commerce and enterprise. 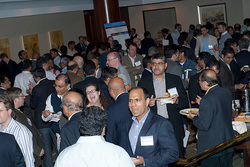 TIECON East introduced a new networking tool called "Plug" to help attendees expand their network, view the conference agenda, and share event happenings on twitter, facebook and LinkedIn. This tool helped facilitate networking amongst attendees. The conference also organized a contest to promote the use of the application which was easily downloaded onto a participants smart phone, this contest awarded the top "Plugaholic" with a dinner with Jit Saxena. Keynote speaker, Andy Ory, of Acme Packet gave a talk on ‘how persistent entrepreneurship can challenge the mightiest and redefine the industry’. Ed Roberts, from MIT laid out the entrepreneurship landscape emerging from MIT. Tim Healy talked about how EnerNOC after being rejected by 36 VC firms became the first profitable public smart grid company. Banquet keynote, Scott Sperling from THL Partners gave a fresh perspective on innovation by citing interesting examples on re-engineering business models. Regis Desilva, MD, Harvard Medical School, remarked, “the keynote panel on Entrepreneurship and Investing in India was simply great - with realistic and balanced views on opportunities and challenges of starting businesses in India." Over twenty entrepreneurs participated in E-Forum seeking advice on their businesses from VCs and industry experts. The conference offered BootCamp Workshops and an Innovation Showcase that demonstrated revolutionary technologies from ByteLight, OsmoPure and ProTeqt. There was also a PowerLunch where attendees were able to engage in conversations with successful entrepreneurs such as Bill Warner, Kedar Gupta and Jit Saxena. At the end of the conference, Five TiE stars inspired everyone with their secrets of entrepreneurial success. 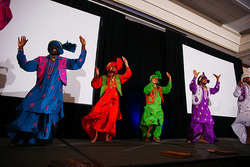 The conference concluded with a live Bhangra Performance, and a casino game night which included a dance party. TIECON East was a phenomenal success, attendees had a chance to meet many entrepreneurs that are similarily working on their business ideas and made many connections with other entreprenuers that are facing the same challenges or have the same questions. The networking tool "Plug" provided attendees an easy way to connect with other attendees in a very informal manner. 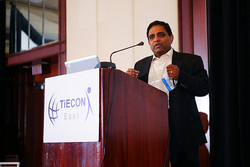 Whether you are an aspiring entreprenuer, a successful entreprenuer or a venture capitalist TIECON East provided a forum to share ideas, learn from seasoned entreprenuers and network with various attendees in similar fields.